Capt. V.J. Bell resides in Stuart, FL. Born in Wachaprague, Va., Bell’s first job was working for Capt. 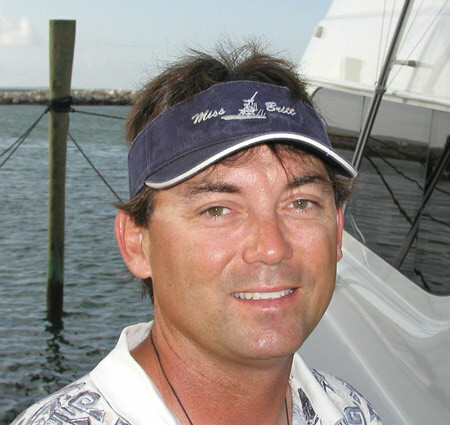 Earl Parker but when Earl’s brother Ray went south to Stuart in 1986, he signed onto the Seabird for his first sailfish season and never went back. In addition to Ray Parker, other mentors include Henley Sandige, Kim Phillips and Frank “Boogie” Warren, who he worked for on the Hobo. 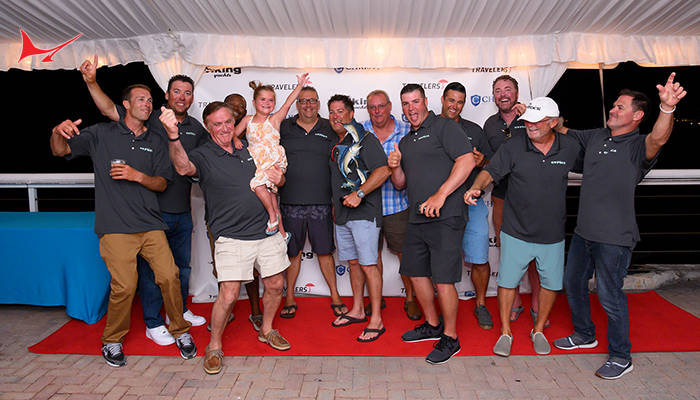 One of the top sailfish captains on the tournament circuit. How has the fishery changed? One thing for sure, with all the teaser baits we run, it’s a lot more work for the mate than in the days of naked ballyhoo and rubber squid daisy chains. Obviously, the biggest change is the dredge teaser which back in the ‘80s, Chip Shafer and Dave Berard were just experimenting with. What are the three biggest mistakes you see? Chip Shafer says if you feel the fish, he feels you. What he’s saying is too much drag or resistance is a bad thing. Another thing I see is anglers tensing up when pulling the bait out of the pin. You don’t want to see the old snap and jerk move. The secret to catching fish is to present as natural a bait as possible which is all about being smooth and fluid with the rod, whether taking the bait out of the rigger or when dropping back. Of course, every pin is a little different and how they are tuned or set has a lot to do with presentation. Finally, with light tackle, even skilled anglers often rush catching the fish by using too much pressure. How can anglers improve their dropback? This doesn’t have as much to do with anglers as the dropback in general. Minimizing resistance is the key. That’s why we fish our drags as light as possible. Depending on sea conditions, I like to see the settings just above free spool. When it comes to sailfish, what is your biggest challenge? 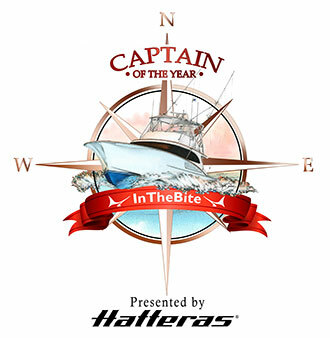 Chartering or fishing a tournament, the biggest challenge for any captain is to be attentive and find a good spot. The challenge is knowing when to pick up and move and when to stay put and wait for the bite. Bait is what I look for first, followed by water color and temperature. Final words: One thing I’ve noticed about sailfish is how closely the bite mirrors the lunar phase. If you follow the major and minor bites of the Solunar Tables, as long as you are in the right depth with bait showing, it’s kind of amazing to see how the bite will go off at the same time with boats being 10, 20 or 30 miles apart. That’s something I’ve been paying a lot of attention to these past few years, making sure I’m in the right conditions when the major and minor occurs. Capt. Glenn Cameron, 51, is based at the Fort Pierce on Florida’s Treasure Coast, where Cameron grew up watching captains like Chip Shafer catching double digits of sails. How has the fishery changed? I remember fishing for sailfish as a kid out of Sebastian Inlet using finger mullet and needle-eye hooks with #7 wire, fighting them from 50-pound rods. Today we don’t use anything heavier than 20-pound tackle. And instead of wire, I want the lightest mono leaders I can get away with. The most obvious change, of course, is the teasers. Ever since Capt. Dave Berard introduced the dredge to the Stuart fishery in the late 80s, sailfishing hasn’t been the same here or in Mexico. He was the first, followed by Chip. These days, 75 percent of the fish we catch show on the teaser first. That’s a big change. Based on your experience, what are the three biggest mistakes anglers make when trying to catch a sailfish? Number one, they aren’t prepared for the bite. They’re not standing next to the rod. You have to be ready for the bite before it even happens. Dropback has to be the next most common mistake. With a good dropback, the line falls from the rod tip. The third most common mistake is too much thumb pressure. With sailfish, the moment you start trying to power them with the thumb, they go deep and start dogging it, which of course creates more line chafe and increases the chance of breaking a fish off. What is your advice for improving dropback technique? Practice, practice, practice. The only way an angler can learn not to be afraid of letting the spool go, is to practice it. It’s why I say dropback is learned, not taught. Everyone holds a rod differently. Thus, everyone’s technique is a little different. The best way to master the dropback is to practice it much as possible in non-tournament situations. 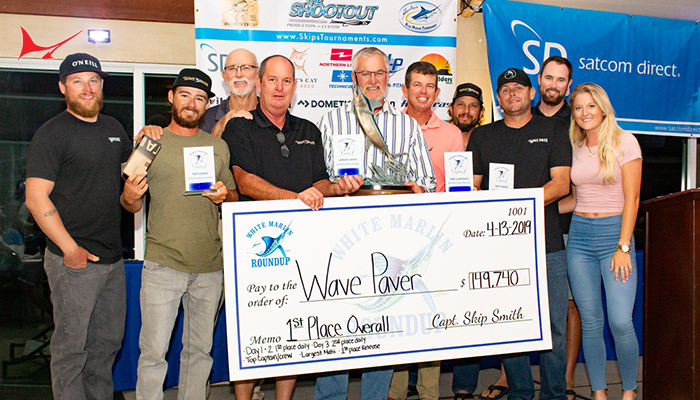 That’s why I’ve started taking my boat to New Smyrna Beach (near Daytona) in September for the early sailfish season, so tournament anglers can practice ahead of time. When it comes to sailfishing, what are you biggest challenges? 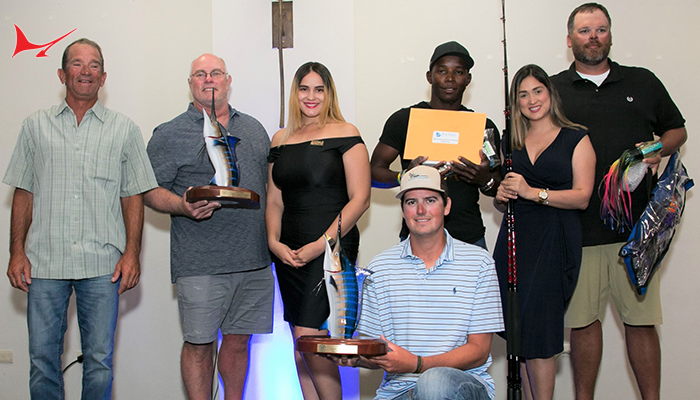 We’ve been pretty lucky competing in the Florida sailfish tournaments, winning the Gold Cup, the Stuart Sailfish Club Light Tackle Tournament and the Treasure Coast Championship. A lot of that has to do with us not only having good teams but with us striking out away from the pack. 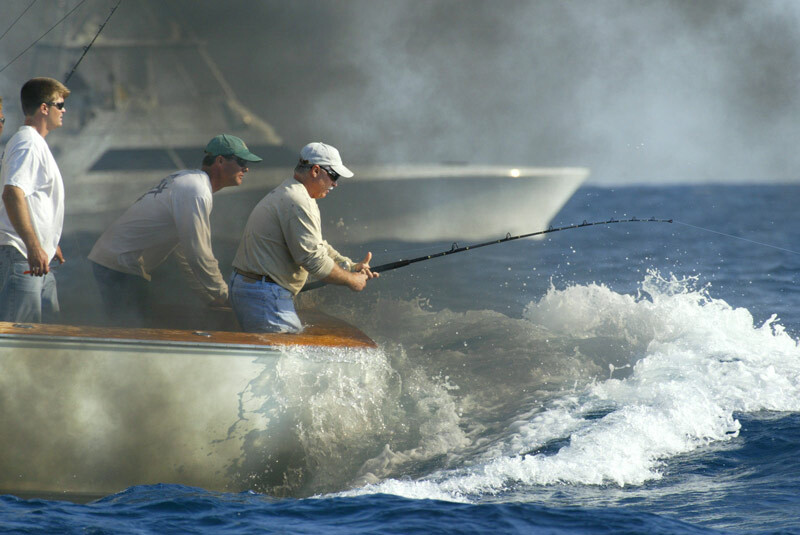 My observation over the years is that you can maintain a lead fishing with the fleet, but you’re never going to win the tournament by following the pack. My philosophy is you want to be the news, not wait for the news. Capt. Arch Bracher is another charter enigma, an owner/operator. These days the Oregon Inlet based charter captain runs a 56-foot Paul Mann, which like all his boats, is named the “Pelican”. 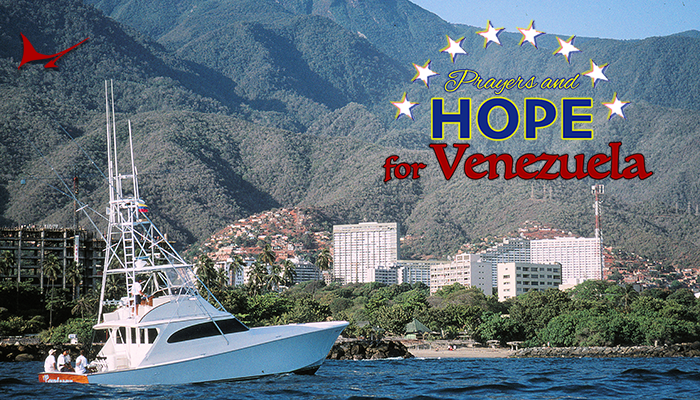 Bracher’s sailfish season runs from February to May off Isla Mujeres, Mexico, which he first fished in 1988 with Capt. Scott Stancyk on the “Catch 22”, a charter boat out of Islamorada. The so called “Air Force brat,” who grew up fishing Fort Walton and Virginia Beach, counts captains such as Steve Richardson and Chip Shafer as mentors. 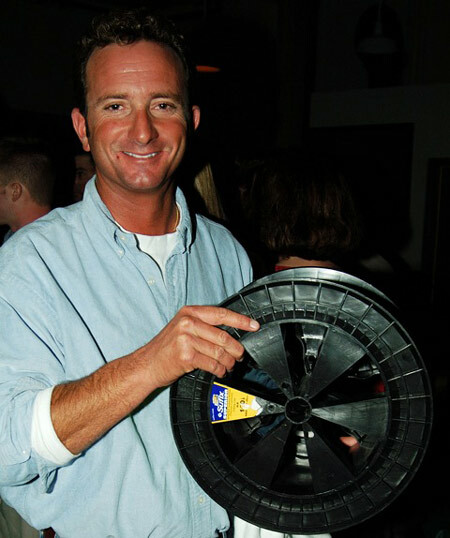 Fishing with Shafer in the mid to late 80s, “I learned a lot about catching sailfish.” Those were the days before dredges, recalls Bracher, when Shafer was the only one he knew fishing fresh mullet teasers that at the time, approached the effectiveness of the natural bait dredges which are so popular today. How has sailfishing changed since you started fishing for them? I go back to the days when we fished for sailfish with wire leaders. Fishing with Chip in the early ‘80s, we used wire leaders; so to me the biggest change has been the tackle, including circle hooks. Everything is downsized. Hooks and mono, instead of wire leader, with lighter and lighter mono now the norm. And naked ballyhoo instead of strip baits with witches. Fishing with Chip back in the ‘80s, I guess we averaged a 65 to 75 percent catch rate, which was significant then. In the Stuart Sailfish Club Light Tackle Tournament, which I won three times mating for Chip, out of 50 boats, only a handful understood how to really fish for sailfish and were competitive. Today, I’d guess 90 percent of the fleet understands the techniques that produce top catches. And instead of a 70 percent catch rate, good boats are almost flawless in terms of their catch per unit effort. Bottom line, everything is a lot more competitive. That’s the biggest change I’ve seen. Based on your experience, what are the three most common mistakes anglers make fishing for sailfish? That’s a tough one. But first and foremost, I’d have to say they get to the pole too late. Next would be their dropback technique. Most anglers don’t have a concept of how to freespool line to a sailfish–that the line should be as free and smooth running as possible. As for a third, I can’t think of one. Basically once a fish is on, the rest is just reeling. What is your advice for improving the dropback? 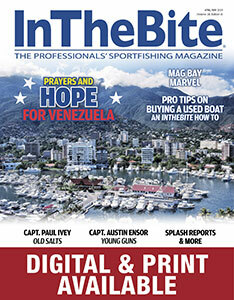 The only way to improve is for anglers to practice. That means fishing places where you get a lot of bites. That’s the only way to learn how to freespool to a fish That said, my advice to anglers usually is to advise them not to overthink the process. Don’t try and break it down. The secret is to have everything come naturally. To feel it. I say that because where I see anglers get into the most trouble on the dropback comes halfway through the process, when they start wondering if the fish is still there and apply their thumb to the spool. Once that happens, the fish is gone. Anglers that learn to overcome such doubt, those are the guys that end up in the winner’s circle. What are your biggest challenges? Finding them. Being a charter fisherman, I fish almost every day so I’m in a good position to understand the movements of fish and the sea conditions and currents that contribute to good fishing. That’s a big advantage. Bottom line, you have to pay attention to the little details. That’s what makes the difference. Capt. Ray Rosher, runs his own 34-foot custom “Miss Britt” out of Miami’s Government Cut. Rosher’s chief mentor for more than 10 years was the late Capt. 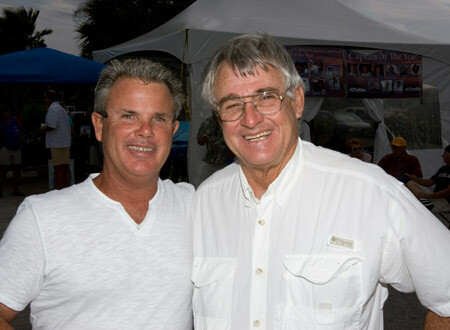 Bob Lewis who brought kite fishing into the mainstream after learning the light tackle sailfishing technique from Tommy Gifford. Lewis would go on to perfect and manufacturer his own line of kites, which are quite popular today. Unlike most of our featured captains, 95 percent of all Rosher’s sailfish catches are taken from a dead boat on baits suspended from kites, not outriggers. Thus his technique is a little different and in his mind, more productive than trolling on the reef near shore terrain he frequents between the Florida Keys and Palm Beach, because it makes for a more natural bait presentation. How has sailfishing changed since you started fishing for them? Techniques have improved dramatically from what they were in the 60s, when I first started fishing for sailfish with my grandpa, who fished for sails from head boats, drifting a live bait under a cork. Another thing that’s changed in just the past 15 years off Miami is the idea that sailfish are food fish. People used to kill them to smoke. Today, it’s a release fishery. That’s made a big difference in the numbers we see and catch. This past year, most of my trips resulted in double-digit catches. I broke my own personal one-day record with 25 releases off Miami on the Git Lit. On the Miss Britt, I broke our previous record of 13 with 15. Then one of my co-captains, Alex Castellanos, went out and caught 16 and 18 one day. 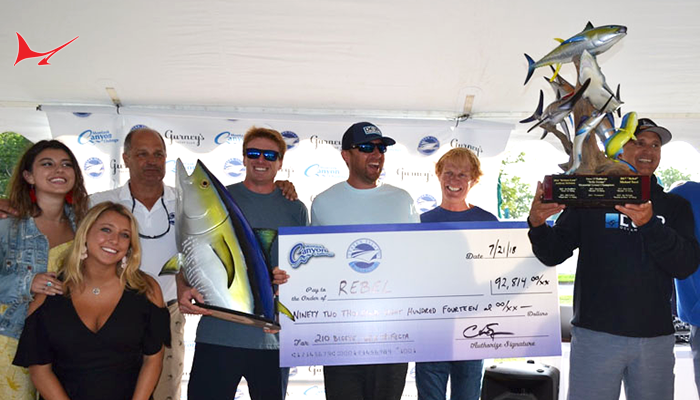 Thanks to the release ethic, sailfish catches have more than doubled off Miami the last few years. What are the biggest mistakes you see made by anglers trying to catch a sailfish? In terms of angler error, I guess the biggest mistake I see kite fishing–where the bait is drifting and not moving forward with the boat–is slack line. Anglers must be vigilant about keeping the line taught–without slack that can wrap around the bill on the strike. Once the fish feels the leader around its bill, it will streak off and start jumping. When that happens, the hook usually is not in its mouth. At that point, most anglers go with their first instincts and start reeling furiously, which is the wrong thing to do. My analogy for them is to think about casting a treble hook into a 5-gallon bucket. If you pull hard, what happens? The hook flies out of the bucket, right? By pulling it slowly, the hook rotates and grabs. Using that same principle of a slow retrieve will drive the hook into the fish. To me most errors happen before you ever leave the dock, with crews that aren’t as prepared as they should be. Hooks are not sharp. No one has checked the guides to make sure there are no rough spots to chafe the 16-pound test line we usually fish here; that drags are smooth. My experience is that most lost fish can be attributed to poor preparation and or attention to detail. What is your advice for improving the dropback? Kite fishing, especially in a light wind, produces a natural dropback. So compared to dead bait trolling, we do very little dropping back. In heavy wind, however, you do have to drop back with the kite. That said, I don’t believe in an overly long dropback, not just because of the chance of gut-hooking a fish, but because it can become an adverse situation. Whenever you feed too much line to a fish, you are creating extra resistance on the hook. Nine times out of ten the fish is gonna jump and potentially throw the hook. Sailfishing, what is your biggest challenge? Deciding whether to turn left or right after I leave the inlet. Making the right call is key. Fishing every day helps, but more anything our success depends on a good networking system with other captains and mates that I can call on the cell and vice versa. I’ve had anglers question my sharing so much information with others in tournaments but I see it as a two way street that I’ve always benefited more than lost from. So I do a lot of networking before leaving the dock and off and on during the fishing day, and I play close attention to the radio, especially to reports of sighted and lost fish. That’s how I meet the challenge of knowing where to fish.